In Protecting Against Nothing: The Failings of ALARA, I described the ALARA strategy (As Low As Reasonably Achievable) for radiation safety. This strategy is based upon the idea that there is no safe level of radiation, so radiation protection must constantly attempt to "do better." 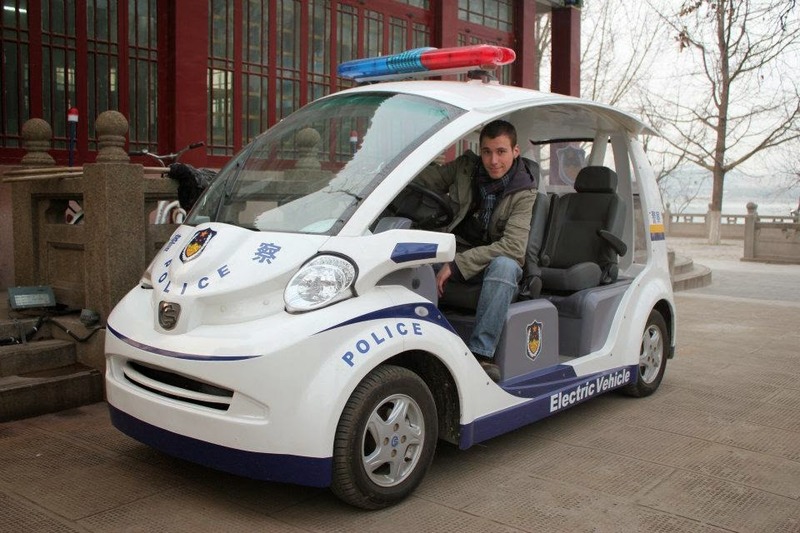 The words "reasonably achievable" can be interpreted in unreasonable and expensive ways. In contrast, protection from contaminants in drinking water is regulated on the basis of drinking water standards: concentrations of harmful substances are kept lower than agreed-upon values. This is a better and more cost-effective strategy than the ever-more-expensive strategy of ALARA. "You have explained how ' reasonably' achievable could be misused in a regulatory context. But can you give examples of where ALARA has actually been misused, examples of where excessive radiation protection measures have led to unnecessary costs? I want examples of the supposed excess costs of ALARA in terms of day-to-day operations. This isn't a question about accident prevention costs." In a few posts, I will describe examples of the unreasonable costs of ALARA at Vermont Yankee. These are cases in which Vermont Yankee had to go to great expense about radiation protection or paying for elaborate radiation measurements---for trivial amounts of radiation. The levels of radiation had no possible public health consequences. Vermont Yankee is a zero-discharge plant. No tritium must leave the plant boundaries. Why is this? There is nothing wrong with small discharges of tritium. Canadian plants legally release thousands of curies of tritium per year. So, Vermont Yankee had a leak in a pipe. The pipe was in a concrete conduit, but eventually, some tritium found its way out of the conduit and into the soil and water. The small leak was a huge problem for the plant. 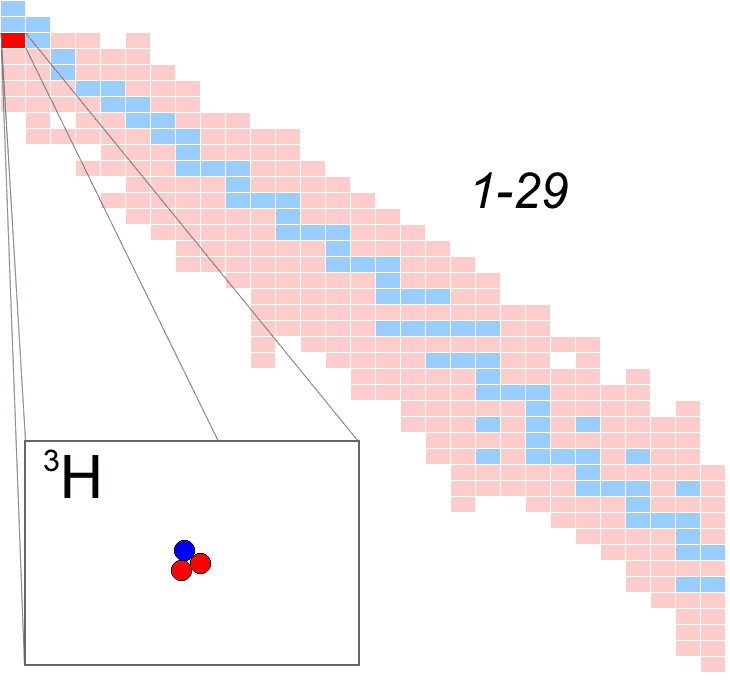 It cost the plant a great deal of trouble and expense to find, fix and "remediate" this leak, even though the leak released less than a curie of tritium. Meanwhile, the plant gathered a great deal of negative publicity for having had the leak. In contrast, exit signs containing about ten curies of tritium can be shipped through the mail (or at least they could be at the time that Howard Shaffer bought his tritium sign about three years ago). In further contrast, Canadian plants are allowed to discharge thousands of curies of tritium per year. There are no health effects in Canada from these discharges. Though I posted extensively on tritium, Rod Adams has the best post on the subject. Adams compares the Vermont Yankee leak with the tritium levels just north of the border. Vermont Yankee's leak was less than one curie of tritium, while Canadian plants routinely discharge over 5000 curies of tritium a year. Vermont Yankee found and fixed the leak within a few weeks. Then, Vermont Yankee began "remediation." They pumped groundwater and disposed of it as radiologically contaminated. By doing so, they captured most of the tritium. Meanwhile, famous hydrological engineers (such as Governor Shumlin) asked Vermont Yankee to pump even more groundwater, for further safety. Vermont Yankee agreed to pump more. I don't know how much they spent on pumping, but I suspect the amount was non-trivial. All for less tritium than is held by a single exit sign. As low as reasonably achievable reached some new depths with the great Vermont Yankee tritium scare story. Of course, a plant should fix a leak if it has one. Even if nothing but super-pure water is leaking, you fix leaks. But the remediation? All the pumping? Large amounts of money and time were devoted to protecting the public from---trivial amounts of radioactivity. It is often thus with ALARA. More to follow. "Protecting" against very low levels of radiation increases the cost of nuclear plants, but the LNT (Linear Non Threshold) model says we must protect against any level of radiation, no matter how small. An anonymous commenter asked a question about this statement. He didn't ask directly about LNT. He asked about LNT's daughter: ALARA (As Low As Reasonably Achievable). LNT claims that no radiation dose is safe, and ALARA claims that we must continually attempt to decrease the amount of any radiation dose. My answer (edited a bit from the original that I posted). The term "reasonable" is intrinsically unreasonable. How is reasonable defined? By whom is it defined? Here's a simplified example of the difference between "reasonable" levels and a threshold level. My town water meets threshold limits for safety. My town provides town water and it sends residents the analysis results for their water. I am proud to say that our town has an excellent municipal water department. The water is safe to drink: all ions and all contaminants are below the EPA levels that define safety for those materials. Let's say the EPA safety limit for "A" is 10 parts per million (ppm). Let's say, in the town water, "A" is at the level of 5 ppm. The water is safe, and people can't go to the town select board and insist that new water treatment methods are available and therefore must be acquired by the town. They can't insist that the town needs to lower the level of "A" from half the EPA safety limit to a quarter of the limit. People can't force the town to upgrade its water system just because those people believe that the new lower limit is "reasonably" achievable. 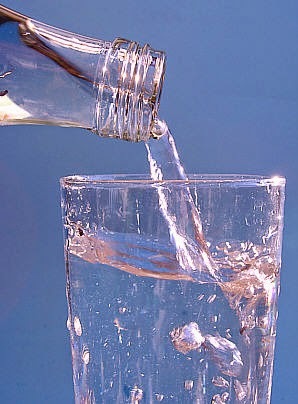 Once the town water has met its threshold for safety, further water treatment is not required. That's the difference between a threshold level--and the unreasonable term "reasonable." A threshold is a number. A system (water supply, power plant) can do a measurement and prove that it meets the criteria. In contrast, the term "reasonable" is open to endless expensive interpretations. Note: The commenter then asked a second question. I will answer it in a separate post. Update: Robert Hargraves new Video "Radiation is Safe Within Limits" is now posted at Rod Adams blog. Adams gives a shout-out to this post, also. These two posts make a very good pair! At his blog, Atomic Insights, Rod Adams recently posted Resolving the issue of the science of biological effects of low level radiation. In this post, he encouraged people to sign a letter urging the American Nuclear Society (ANS) to address the issue of unreasonable fear of low levels of radiation. There is now a great deal of evidence that, below a threshold value, increases in radiation exposure do not lead to increases in cancer. Adams provided a link to the letter, which urges the ANS to ask for a review of newer evidence (studies done after 1956) concerning the use of Linear Non Threshold (LNT) to predict cancer deaths from radiation. 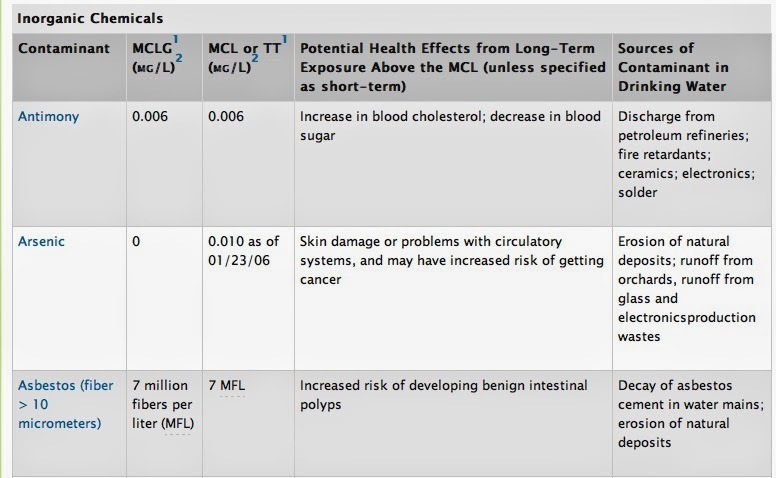 LNT asserts that there is no threshold for increased cancer risk. "Protecting" against very low levels of radiation increases the cost of nuclear plants, but the LNT model says we must protect against any level of radiation, no matter how small. 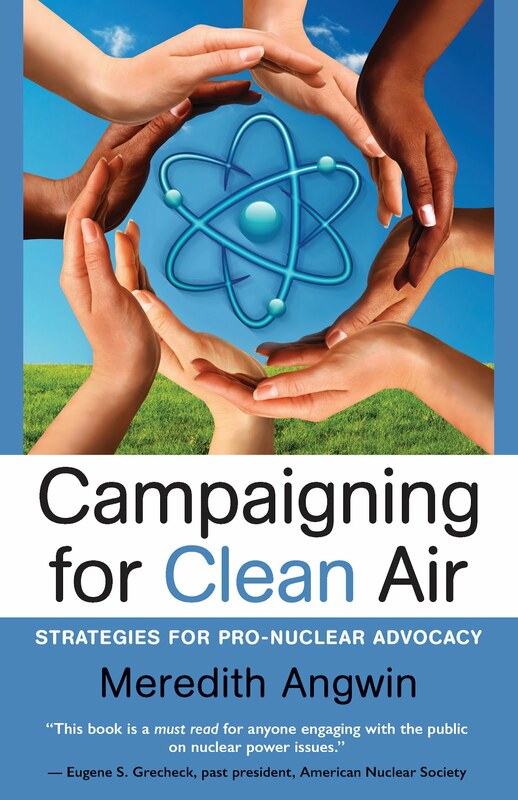 Rod and I are happy to assert that LNT increases the cost of building and operating nuclear plants, but does not lead to an increase in public health outcomes. I was very impressed with Howard Shaffer's comment, and I obtained his permission to use it as a guest post, as below. I did a few edits, with his permission. Bob Hargraves, Meredith Angwin and I have all gone head to head with the nuclear opponents and the Helen Caldicotts brought in to Vermont. We have gone through all the logical arguments on cost, alternatives etc. We needed to be face to face, up close in public meetings in order to FEEL the fear that is driving their single minded opposition. Fear that drives elderly ladies to repeatedly chain themselves to the plant gates and get arrested, and many other examples. As for evidence, see the election results here in Vermont. Enough FEAR has been created to keep driving the opponents, so they always find a new issue. Now it is “all fuel in Dry Casks NOW” which is also being used in the SONGS fight. Perhaps ANS can get Ann Bisconti to do a poll asking what people believe about radiation. The LNT issue is in the middle of the largest issues of our time, starting at the middle of the last century. The Environment as limited. History shows that we believed the earth to have unlimited resources and be an unlimited sewer. (At one point, the chemical industry saw chemical injection underground as a legitimate disposal method. Where were the studies on the effects done before this was started?) Fear of fouling our own nest and ruining the earth is legitimate. Fear of nuclear war. Einstein was right that World War IV would be fought with sticks and stones. Out of these came fear of planetary pollution from atmospheric weapons testing. The BEIR committee was persuaded by powerful personalities to extend the evidence from the excess cancers in atomic bomb victims to low levels of exposure and to “zero” exposure (which does not exist). This was done to boost the fear campaign they thought was needed to get the Atmospheric Test Ban Treaty. "Ban the Bomb" was a Fear Campaign. I agree with the goals of that particular campaign. But history shows that Fear Campaigns get out of hand and have a life of their own. Forgive me for using Racism, Suppression of Women, and Anti-Semitism to name a few. None of these are supported by evidence, but take a long time to erase. We who believe in nuclear power have a lot of work to do. It’s time to face up, as Rod says, to the realization that the public needs to be told that some of them bought into a Fear Campaign that outgrew its original purpose and the facts were not true. The campaign was well motivated but the wrong approach. It is time to get back to the facts. In mid-June, Governor Shumlin spoke with utility regulators and "tapped the brakes" on the idea of a rapid build-out of gas pipelines and electric transmission lines. According to an article by John Herrick in Vermont Digger, Shumlin said this infrastructure might become obsolete, and new technologies could lessen the need to transmit large amounts of power. However, in late June, Shumlin reversed his position. 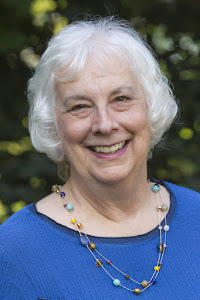 On June 20, a panel of energy experts representing the governors of all the New England states met: the meeting was reported by Deborah McDermott of Seacoast Online. In this meeting, the panelists agreed to ask for a "tariff" (tax) on electricity. The tariff would be used to finance natural gas pipelines and electricity transmission lines. The state-appointed panelists stepped on the gas for an infrastructure buildout. As the energy panelists said--something has to give in New England. Once upon a time (earlier this year, actually) a polar vortex came to call in New England. Sub-zero temperatures meant that great quantities of natural gas were used for heating homes. Therefore, not enough natural gas was available for gas-fired power plants. Oil and jet fuel were called into service to provide electricity, and prices on the grid soared. As many news reports noted at the time, there are not enough natural gas pipelines into the Northeast. On January 21, all six governors of New England got together as part of the New England States Committee on Electricity to address the pipeline problem. The governors signed an agreement requesting ISO-NE to support in the development and filing of any tariff changes [fees to users] for two purposes. In the first purpose, these fees would enable new transmission lines to be built. The lines would bring between 1200 and 3600 MW of low carbon power into the New England electrical systems. Translation: we will build new power lines to get electricity from Hydro Quebec. In the second purpose, governors also requested a fee on electricity for the purpose of building new pipeline capacity to bring natural gas to the area. The idea is that consumers should pay more for electricity now, in order to build gas pipelines as soon as possible. Note: Governor Shumlin signed this agreement with these requests. Meanwhile, the seasons have changed. 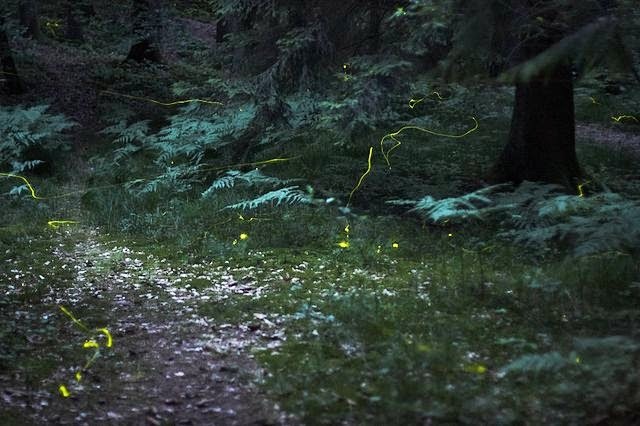 Peonies bloom, fireflies blink in the twilight, and Vermonters protest energy projects. Pipeline opponents are concerned that an already-planned gas pipeline will carry fracked gas. They also worry about water contamination. They are protesting, chaining themselves to the doors of the gas company, and so forth. One protester was arrested for alleged assault. People in Vermont do not like this pipeline. Their reaction doesn't look good for building even more pipelines in Vermont. 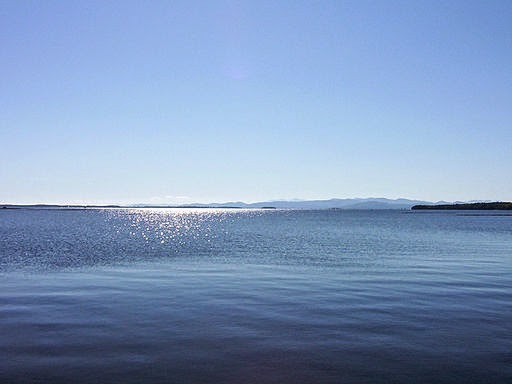 [TDI] wants to bury a 150-mile transmission line under Lake Champlain. TDI, a subsidiary of Blackstone Group, a financial services firm, has lined up private capital for the estimated $1.2 billion project.....TDI says it would also donate tens of millions of dollars to the state for costly Lake Champlain cleanup – or whatever the state decides is best. Gee, that sounds familiar. 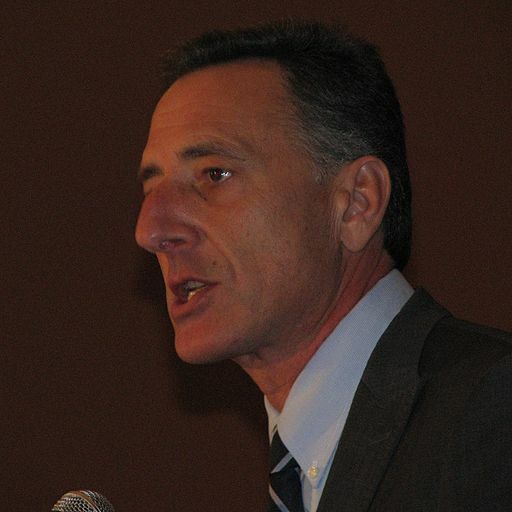 "Donate tens of millions of dollars..."
As reported by John Herrick in Vermont Digger, Governor Shumlin spoke to utility regulators in early June. Shumlin "tapped the brakes" on the build-out. He said that we don't know that "with the evolutions of technology and the local, distributed generation of power...(we may end up) paying for huge stranded costs if we build tons and tons of delivery." Shumlin spoke of the evolution of cell phones. In parallel with cell phones, Shumlin claimed that "new technologies could soon lessen the need to transmit large amounts of power from faraway areas." Well, not really. Let's look at the power situation in the Northeast. In Vermont, Vermont Yankee is shutting down. 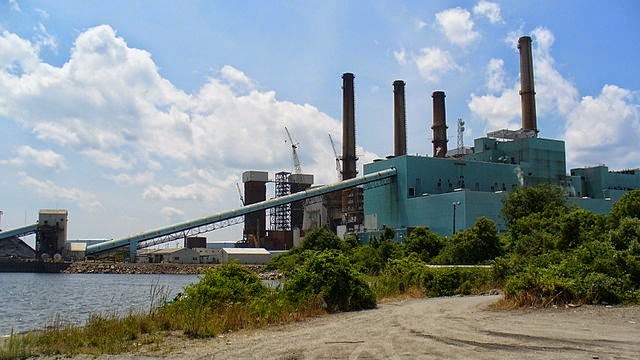 In Massachusetts, three major coal plants (Salem Harbor, Brayton Point, and Mt. Tom) will close in the next few years, some in the next few months.The grid operator said that Brayton Point was a "must-run" facility. The plant owners answered: "Too bad, we are closing it anyway in 2017." In short, without "power from faraway areas," the grid around here could get seriously unreliable. We will need transmission lines. Some of my friends have looked at the Governor's statement and concluded that the man is simply dumb about energy. He doesn't want power plants, and he doesn't want transmission lines. Yes, this is the man who said that Germany got 30% of its juice from solar, and that a nuclear plant must be kept running with mostly full staff for years after shutdown. 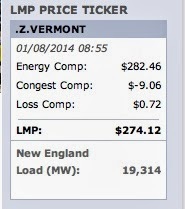 Shumlin has proven that he is no genius on energy matters. However, Shumlin is very smart about politics and negotiations. His recent statements can best be understood as part of a negotiation with anyone who would build any infrastructure in Vermont. If you build it, you must pay us! Shumlin has surely noticed that without Vermont Yankee, there will be no easy source for new funds in the Clean Energy Development Fund. I think he has decided to tax the new infrastructure: in other word, tax whatever replaces Vermont Yankee. When Shumlin makes a speech against the infrastructure development, he becomes better able to get concessions (money) from the infrastructure developers. Shumlin has shown that he can be a formidable enemy to an energy project. As one person on Facebook wrote: "He's got Vermont Yankee's head on his wall now." If a project doesn't want him as an enemy, the project owners will probably pay what he wants them to pay. In my opinion, Shumlin is not dumb. He's smart like a fox. Foxes are smart for themselves. They are not known for their public-spirited actions. Ultimately, the ratepayers will bear the costs of Shumlin's way of being-smart. Howard Shaffer went to a local Sierra Club meeting about the horrors and dangers of decommissioning Vermont Yankee. Luckily (snark alert) two anti-nuclear groups are ready to step into the breach and make sure the decommissioning is done right! These groups are Citizens Awareness Network (CAN) and Citizens Action Network (also known as CAN). Leaders of the two groups did their Sierra Club presentation as a "tag team," switching back and forth, from one to the other. 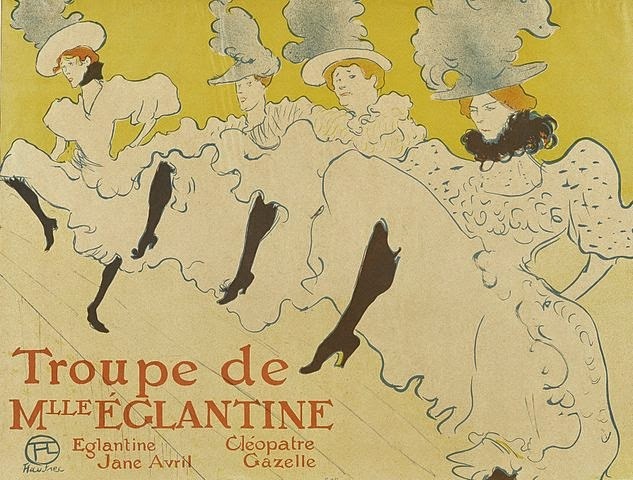 Therefore, this meeting could be described as a CAN-CAN show. 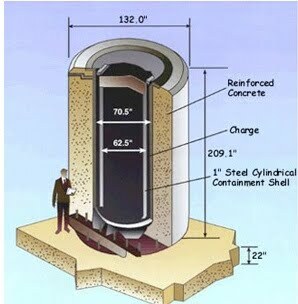 Howard Shaffer went to the meeting and wrote a blog post about it at ANS Nuclear Cafe blog: A CAN-CAN Dance around Vermont Yankee Decommissioning. Shaffer's post is better than being at the meeting. Instead of sitting in a room full of nuclear-hostile people, while hearing a bunch of assertions and untruths, you can read Shaffer's post. Shaffer does more than just list the things they said--he immediately answers them in his post. His post equips all of us with answers. Shaffer deserves a hazardous-duty-for-the-blood-pressure award for attending this meeting. I want to express my gratitude for all the men and women who served on the Allied side in WWII. Without their service, this would have been a world of misery for ourselves, our children and our grandchildren. I want to thank men in my family who served during the war. There are others who served, but I don't know everyone's names from back in those days. My own father did some war work in this country, but was not in the military. Here are the people I know about it. I thank them. 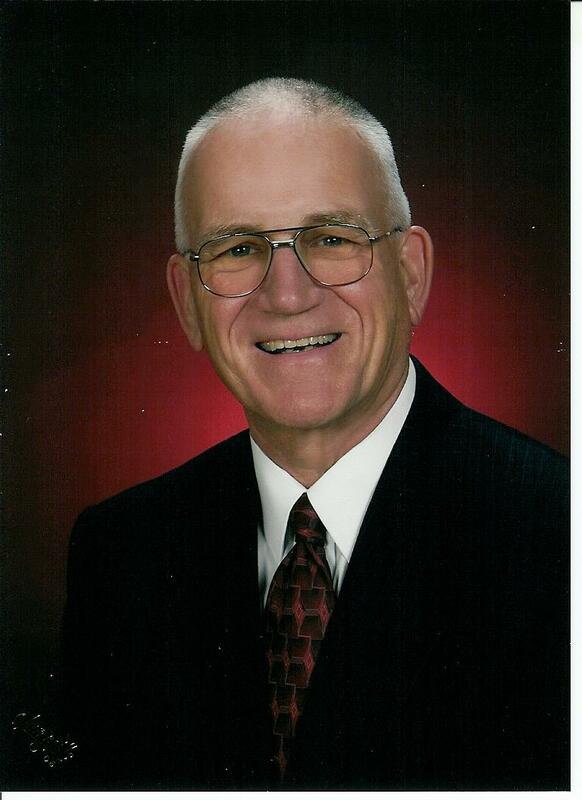 Also, my dear friend Laura Schneider's father Paul, who landed on Omaha Beach. I am sharing a recent picture of Laura with her father. 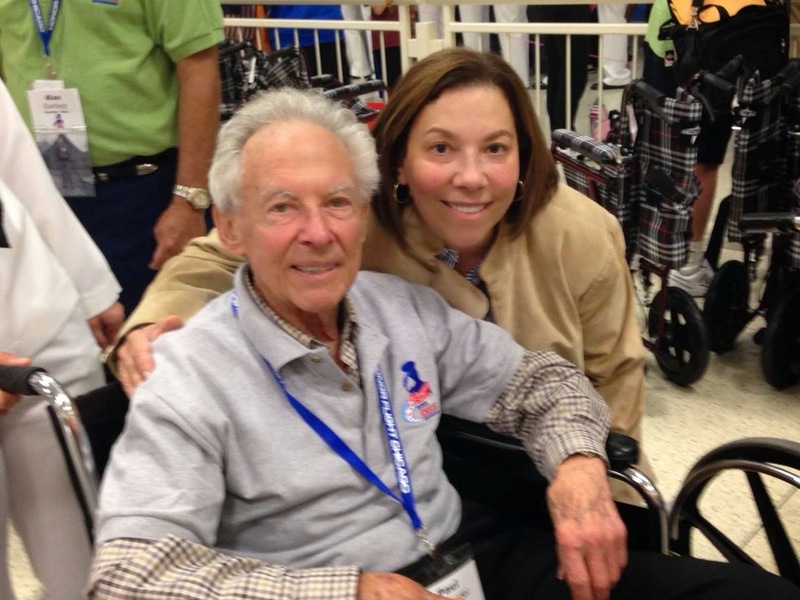 As Laura wrote on Facebook: "70 years ago, 18-year-old Paul Schneider landed on Omaha Beach. He had enlisted because he felt it was his duty as an American to serve his country." Vermont and the EPA Carbon Abatement. Be Careful What You Ask For. A few days ago, the EPA issued a proposed plan for greenhouse gas mitigation. The plan is intended to cut greenhouse gas emissions in the electricity sector by 30% by 2030. The required mitigations are determined by state. For example, since Vermont has no fossil fuel electricity plants, Vermont has no required mitigation. According to USA Today, the EPA document about the plan is 645 pages long. According to many reports, President Obama was frustrated with Congress’s inability to pass greenhouse gas legislation. Therefore, he asked the EPA to regulate greenhouse gases directly, without requiring a law passed by Congress. Kentucky and West Virginia get more than 90 percent of their power from coal. The EPA made concessions to those states in setting its climate target. Coal-heavy Indiana, for example, would need to make smaller percentage cuts than New York or Washington states. West Virginia is a heavily coal state, and the EPA says it must cut its carbon dioxide emissions by 19%. New York State gets less than 10% of its electricity from coal, and 80% of its electricity is generated by nuclear, hydro and natural gas. The EPA says that New York State must cut its carbon emissions by 44%. To me, these rules seem arbitrary. It is no wonder that many commentators expect a raft of lawsuits. The satirical website, The Onion, sums up the situation beautifully: New EPA Regulations Would Force Power Plants to Find 30% More Loopholes by 2030. Oops. Vermont Yankee? Vermont Yankee will go off-line at the end of the year. What will this mean for Vermont’s carbon-reduction plan? Well, nothing immediately. Though the current Vermont administration encourages more natural gas pipelines and the state Comprehensive Energy Plan includes a great deal about natural gas, we don’t have any natural gas power plants in-state at this time. When our nuclear plant shuts down, this will not mean that Vermont will immediately generate fossil-fuel-based electricity in-state. Oh yes, we will be buying more fossil-fuel based electricity from the grid. 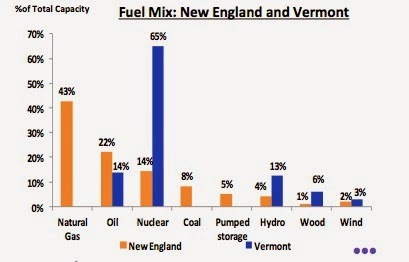 Yes, the grid will be burning more fossil fuels to make up for Vermont Yankee being off line. Those are facts. However, since Vermont won’t be generating fossil-fuel-based electricity in-state, we won’t have to design a fossil-fuel mitigation plan for Vermont. To me, this is just another way that the rules are more about politics than about pollutant mitigation. Back in the early days of the Clean Air Act, I worked on methods for preventing NOx pollution. At the time, our work was funded by the EPA and the California Air Resources Board (CARB). NOx (nitrogen oxides) are precursors of acid rain, photochemical smog, and ozone. Comparing the NOx abatement work with the current set of carbon rules, I notice that this recent pollution control plan is political right from the beginning. Usually, emission rules are based on an assessment of health issues or other concerns of importance to society. Once the rules are in place, however, groups seek (and often get) variances based on their particular situations. 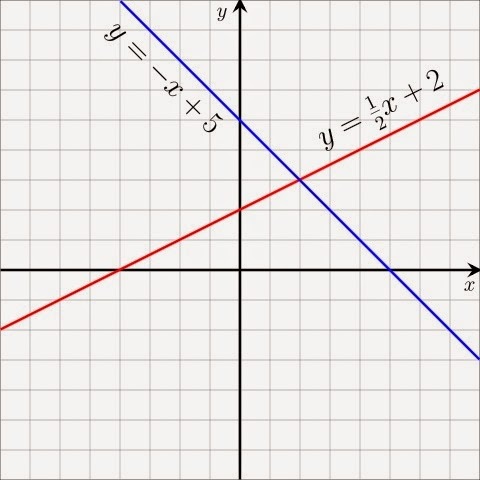 The variances often include political considerations. Still, the rules themselves, as promulgated, are supposed to be based on science, not politics. Not in this case, as far as I can tell. These rules incorporate the politics of each state. This policy does not have a lot to do with effectively limiting greenhouse gases. Vermont does not have to come up with a greenhouse mitigation plan because we do not burn coal for electricity generation in Vermont. After Vermont Yankee shuts down, we will be generating far less of our electricity in Vermont. The rest of our electricity will be imported from elsewhere, and those other states will have to bear the burden of complying with the new rules. We still won't have to come up with a greenhouse gas mitigation plan for Vermont. It will be somebody else's problem. Is this truly the model that the president wants? Export your problems? In March, Rod Adams visited Vermont and toured Vermont Yankee. He was impressed by the excellent condition of the power plant. He also thought about Vermont's heritage of employee-ownership, dairy cooperatives and so forth. Rod began to think that the employees could buy Vermont Yankee, and run it as a "B" corporation that has social goals. Such a corporation is not required to maximize profits. Information for my blog comes from reading articles in the press or attending meetings (such as Public Service Board meetings). I rarely get a phone call. 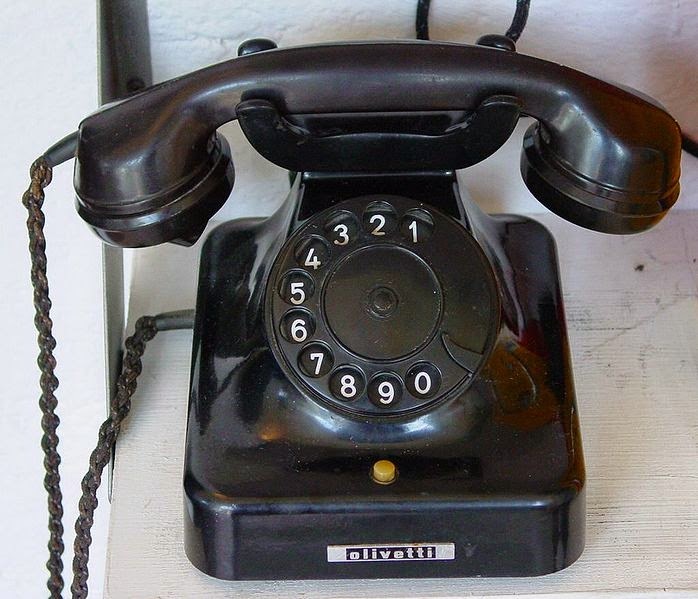 In this day and age, a phone call means "I want to tell you something, and I don't want to leave a digital trail. Don't quote me directly. This is background stuff only." After Rod's posts, I got phone calls from all over the place: local people and nuclear supporters from other parts of the country. When I came to summarize this "off the record" information, I realized what I heard was pretty much in the public record anyhow. Or I heard people's opinions, things that they wanted to share with me without a record. Oh well. They needed to call. I needed to learn in the way that I needed to learn. So here's what I learned. Here are some of the reasons that an employee buyout is close to impossible. Employees would not benefit that much. Most employees have very little interest in investing money and time in something that is uncertain and would not protect their families. In general, both the NRC and state agencies insist that nuclear plant owners have solid assets and a solid track record. A co-operative company formed by employees would not meet NRC criteria for a license or PSB criteria for a Certificate of Public Good. This would be true even if the company was backed by a wealthy private investor. The current Vermont administration has been very set against continuing operation of Vermont Yankee. They have expressed this by testifying against the plant in front of the Public Service Board, calling the plant "Entergy Louisiana" at every turn, and taxing it outrageously. The "taxing it" part is the one that would be impossible to fight. The state assessed a $12 million dollar "generation tax" on Vermont Yankee. This tax only applies to plants that were "built after 1965 and are greater that 200 MW." That is a very targeted tax, and there is no particular reason that the legislature can't increase it to $18 million or more, whenever they decide to do so. The way the law is written, nobody but Vermont Yankee will be hurt by such an increase. There have been many other taxes, also, including a tax to clean up Lake Champlain (on the other side of the state from the plant) and to support Clean Energy projects. And there are other taxes. The state requires Entergy to pay the Red Cross for shelters in case of an evacuation: Entergy must pay the Red Cross a total of $700,000 over a period of four years. It is nearly impossible for a business to fight taxes at this level. There is no reason to believe that employee ownership would lead to any less state taxes. Vermont Yankee would still be a nuclear plant and they would be employees of a nuclear plant. They would be worse: they would be owners of a nuclear plant. The taxes would stay. I conclude that an employee buyout of Vermont Yankee is close to impossible. I am sorry to conclude that there will be no employee buy-out, but I thought I had better make this statement explicit on my blog.